Excuse me..at Buam-dong? and where the he** is that? Isn't it at Hongdae? 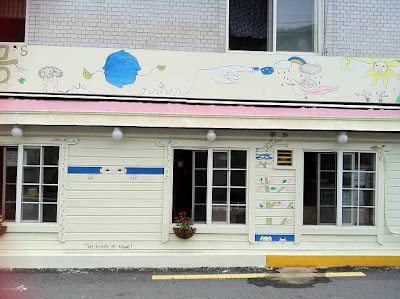 Yes..it's true that the main filming location or cafe' is at Hongdae but if you are Coffee Prince the Korean drama's addict..hehe, then you should give this cafe' it's duly visit. You definitely can't miss this one out! 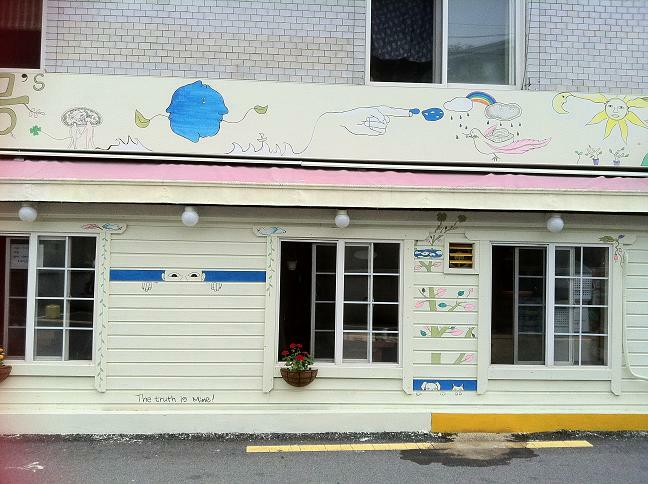 The cafe's name is Sanmotungee - San mo tung ee..in Korean would be 산모퉁이. Source: Coffee Prince - Wikipedia. Remember that Gong Yoo has a cousin in Coffee Prince right? 'The Voice' aka Mr Lee Sun Gyun - the specky one there. That would be his house...yes..his house. 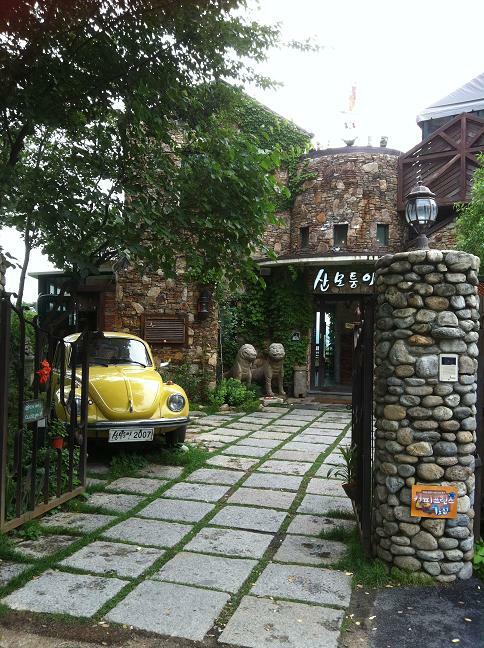 Arghh..I wanna live in that house!!! kind of..hehe. I just couldn't stop raving about this cafe'. Location, location, location. 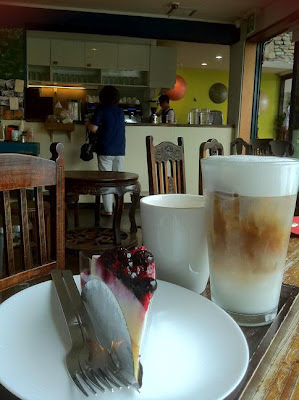 Just like finding a good property..it's also a plus point for finding a good cafe' to relax and spend your time. Seriously the view is so gorgeous!! Amazing..magnificent..Subhanallah. 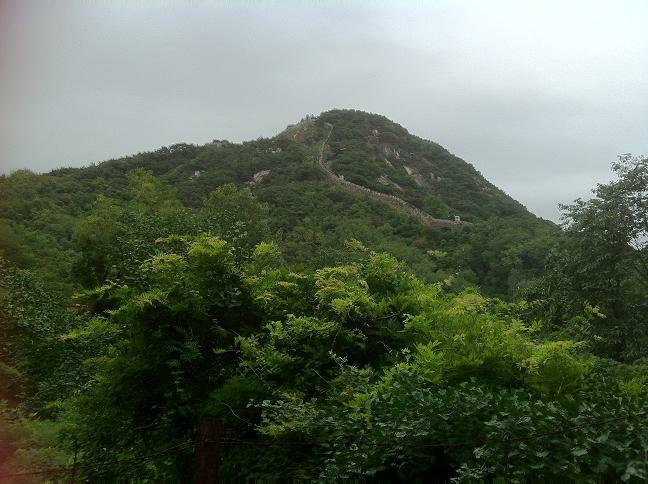 From the cafe' you can view the Seoul Fortress which you could easily mistook it for Great Wall of China! 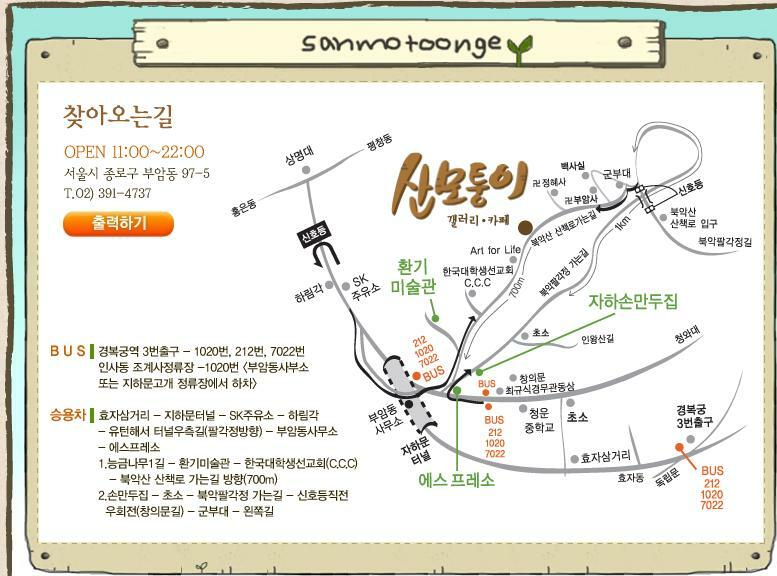 Just remember to visit Sanmotungee cafe' when the day is bright and clear. Me and Afri were lucky. In the morning, there was a slight drizzle but by the time we arrived at Buam-dong, the weather was on our side. Breezy and felt like spring sans the flowers. Not too warm but a little bit hazy. Our latte, cappuccino and berry cheese cake for 21,000won. The coffee starts from 7,000won and dessert from 5,000won. Nothing to rave about the coffees and dessert but the ambiance will make you fall in love..love..love. 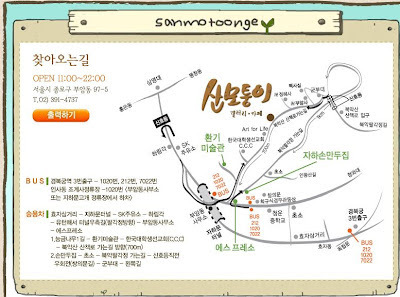 How to go to Sanmotungee 산모통이? Subway then bus then hike up the hill. Or just take a taxi up to the cafe'. That would solve your problem! But me and Afri walked very slowly basking in the beauty from our surrounding. Trust me on this one. Walk up the hill. Take Gyeongbukgung subway, Line 3, Exit 3. Walk straight towards the local bus stop about 100m for bus number 7022 or 1020 (Green bus only). Stop at Buam-dong community center. The broadcast would be in Korean but if you pass by a line of shops after going down the hills, then you would be right. Then walk back up the hill and turn left at the first junction. You will see two roads, take the left one and you will see this shop. Just walk up the hill until you see find a signboard written in Korean for 산모퉁이 and turn left and just walk up the end, till you meet the cafe'. A map from the website but you can pretty much find your way.